After splitting its social and media features last year, Snap is shifting again to help retailers become direct brands. 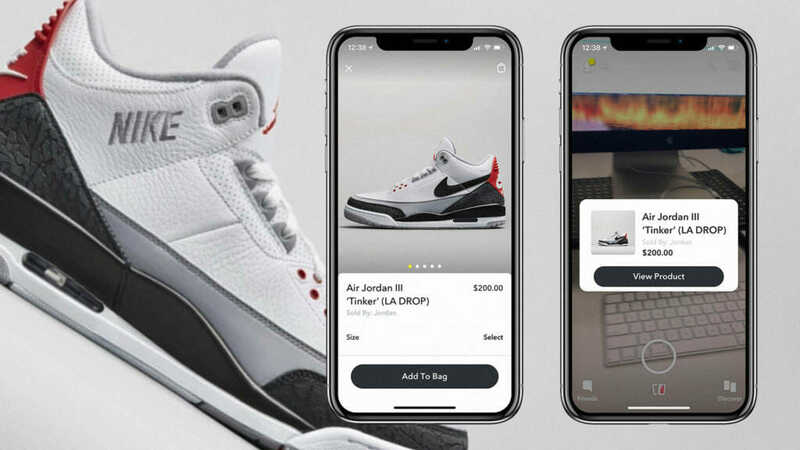 For the first time in Snapchat’s history, users could purchase products, namely the Nike’s Air Jordan III “Tinker,” without ever leaving the app. After the NBA All-Star Game last night—the 30th anniversary of Michael Jordan’s famous performance at the All-Star Slam Dunk Championship in 1988—fans attending the Jumpman afterparty got the chance to scan special Snap codes, allowing them to pre-purchase the shoes and have them delivered later that same night. Assisting in the collaboration between Snapchat and Nike were Darkstore, an “invisible retailer” startup and Shopify, an e-commerce payment platform. The new Air Jordans, which will not officially be released until late March, sold out within half an hour. This Snapchat–Nike e-commerce partnership comes just a few weeks after Snap began selling its own merchandise through its app, and the success of this promotion may convince other brands of the possibilities of in-app storefronts. Even if Snapchat takes a cut of the sales, brands may see higher conversion rates simply from cutting the amount of time and redirects between consumers and the products they want. Despite some unrest over the direction Snapchat is going from its established users, adoption of the photo-sharing app is growing. The company is working to ingratiate itself with marketers, and providing a platform for direct sales and reach to an existing audience is one more step in standing out from the social media crowd.